IDW Publishing is thrilled to announce that in 2018 Bumblebee from the TRANSFORMERS franchise will star in his very own original graphic novel! 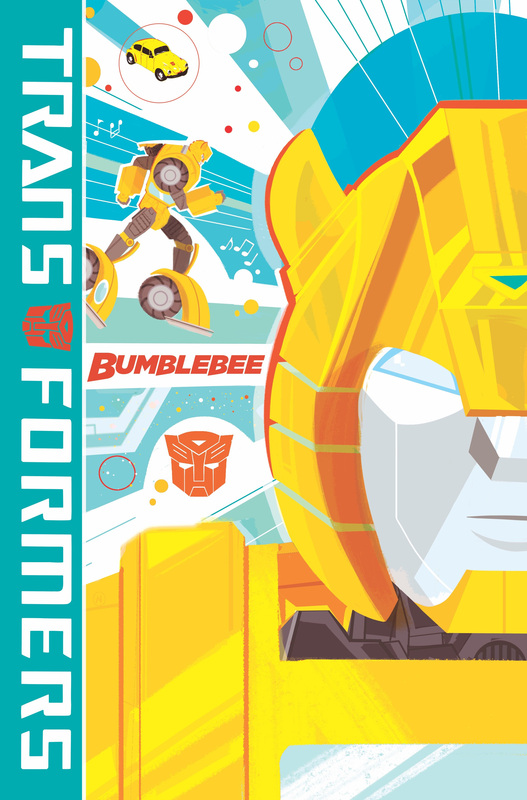 The perfect jumping on point for the next generation of TRANSFORMERS fans, Transformers: Bumblebee – Win If You Dare gives readers the opportunity to join in the fan-favorite character’s adventures. Life can feel rough when you aren’t the fastest or the tallest Autobot, but Bumblebee is up to the task! When his best friend is hurt, Bumblebee takes it upon himself to finish the mission—and prove his worth to his fellow Autobots along the way. Things get tense as Bumblebee and a new human friend infiltrate a series of incredible races, hunting down dangerous foes and a devastating secret. It’s an exciting new, action-packed ’80s adventure! X-Men ’92 co-writers Chad Bowers and Chris Sims along with artist Marcelo Ferreira (Back to the Future, Transformers: Windblade) have crafted a nostalgia-tinged, yet equally fresh standalone story. Since its launch in 1984, TRANSFORMERS has grown to be one of the world’s most recognizable and successful toy and entertainment brands. Driven by compelling characters and a rich storyline, TRANSFORMERS revolutionized children’s entertainment as one of the first properties to produce a successful toy line, comic book, TV series and animated film. Throughout the franchise’s more than 30 years of history, thousands of unique TRANSFORMERS robots have been introduced through toy lines, multiple animated TV series have debuted, and animated and live-action films have thrilled audiences.